TeamViewer is a popular remote Desktop, remote access, and remote control software which is widely used to either give remote support to other users over the Internet or to make unattended connections to another server or computer across the Internet. 2 How to use TeamViewer? 3 How to update TeamViewer? TeamViewer 14 is the latest version of TeamViewer which comes with performance enhancements and a cleaner more efficient TeamViewer experience. The new version can now run on low bandwidth too as it uses compression techniques to detect the low bandwidth automatically and adjust the settings according to the connection speed. You can also keep track of your devices and IP addresses you trust. 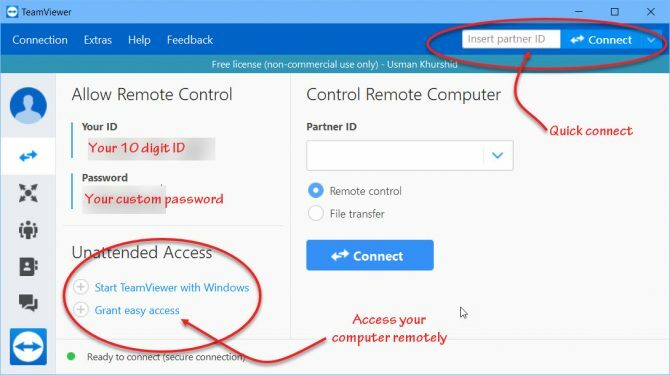 Thus for remote connection, TeamViewer has facilitated the user by increasing the performance and mitigating connectivity issues. TeamViewer has gained the attention of users across the world in recent years. If you want to resolve any issue on another PC or want to access your files on some remote PC then you do not need to be physically present there. TeamViewer provides you with an environment where you can get attended or even unattended access to other computers. Unattended access will allow you to get the task done on remote PC even if it is not supervised by some other using only the condition is that PC should be connected to the Internet and powered on. TeamViewer is best suited to use because of its cross-platform support. Whether you are using windows operating system and want to transfer file on Mac or you are using another operating system, TeamViewer provides the support for cross-platform devices. It’s always exciting to read out a list of new features as we can assess how much a company is working on customer satisfaction. Let’s check out the changelog. 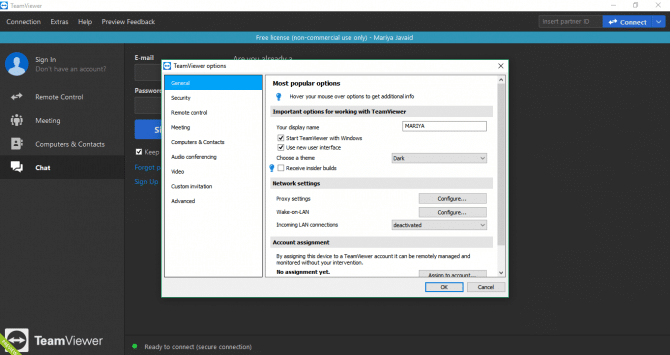 The latest version of TeamViewer works even in case of low bandwidth connections because of Enhanced Connection Quality Through Distributed Login Handling. Dark mode feature has been introduced which changes the User interface and help you concentrate more. Just go to Extras->Options->General->Choose a theme. Optimized to work flawlessly with Mac OS Mojave 10.14. Now the users can directly submit tickets from inside of QuickSupport module without leaving TeamViewer interface. You can also go through the complete changelog here. For premium and corporate users, some new features have been introduced. Custom Device Notification: Custom device information allows you to maintain a list of devices in your Contact list. You can add any display details such as operating system, manufacturer, department, or any option you specify. The management console can be used to configure the fields so that the other members can add relevant information to the list. Service Camp Ticket: Cooperate users can create service tickets for the customers and customized details can be added so that the customers are prepared before the session. Advance Device Grouping: For premium users advanced device grouping has been provided which allows you to quickly and easily group your devices according to the properties that are most relevant to you. If you are new to TeamViewer and don’t know how to use it then you need to follow simple steps. Install the setup following the installation wizard instructions. Once installed, run the TeamViewer. You will be provided an ID and password. Share your ID and password with the other user whom you want to give access to your computer. If you want to access someone else’s computer, ask for their ID and password and enter that. Your device will be connected to the other users and you will see their screen on your computer. If you have a previous version installed on your computer and you want to update it, click on the arrow button on the top of the screen or otherwise go to Help and click Check for new version. Download TeamViewer 14.2 offline installers using the links below according to your system requirements. You can also go with Teamviewer 14.2 Portable and run it from a USB drive or a network drive.